Sikhs beware of Yogi Bhajan followers who regularly violate the Sikh Reht Maryada along with SikhNet staff who participate in anti- Sikh activities. 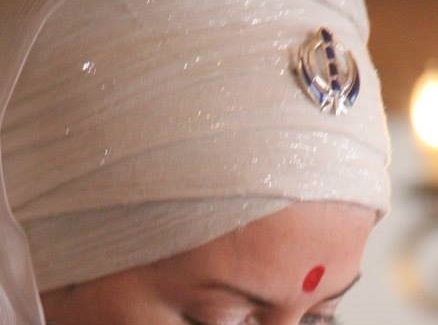 SikhNet director, Ek Ong Kar Kaur Khalsa, stated in a letter to a Sikh; "....when people like Gurmukh Kaur participate with Hindu leaders in doing a Pooja, it is just an interfaith event." Write or call SikhNet at these contact numbers and demand that SikhNet take a stand against Hindu fire puja at Gurmukh's Yogi Bhajan Hollywood kundalini yoga studio! 1-A Ram Das Guru Pl. Gurmukh Kaur is misrepresenting the Sikh religion & showing complete disrespect for her Sikh name! 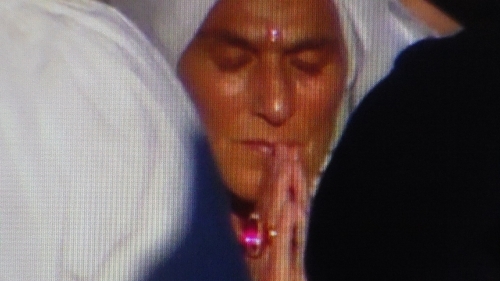 Sikhs also ask SikhNet to take a stand against this woman as she is part of their Yogi Bhajan cult and should not be using Sikh names like Gurmukh, Kaur or Khalsa!